One of the most insidious abuses of state power lies in the practice of civil asset forfeiture (CAF), where government agents can seize cash and property from citizens who are not charged with a crime. Law enforcement needs only the suspicion (often concocted) of a crime to immediately steal a person’s belongings, and the person must then prove his or her innocence with costly attorney’s fees to get their property back. The case of Joseph Rivers, 22, provides a shocking example of how bad it can get. While on his way to Hollywood to start a music career, the DEA stole Rivers’ life savings of $16,000 on the made-up suspicion that he must be involved in drugs, even though there was no evidence whatsoever. He has yet to get this money back. Since CAF was created by the federal government in the 1980s to fight organized crime, law enforcement has seized upon it to develop, like a drug addiction, something known as “policing for profit.” Billions of dollars are stolen every year to feed a lust for more equipment, training, and personnel to further entrench the police state. However, the tide is turning. New Mexico has become the first state to make serious reform, as it has abolished civil asset forfeiture by requiring a criminal conviction to seize assets. The law puts the funds derived from criminal convictions into the state treasury, rather than state and local law enforcement. The city of Albuquerque, which used to rake in $1 million a year from CAF, is incensed over the loss of its cash cow and is refusing to follow the law. It continues to seize vehicles without a conviction and has even built a new parking lot for all the cars it intends to steal. More states, such as Virginia, Oklahoma, and New Hampshire, are considering reform as the abuses of CAF come to light. Noble law enforcement officers are speaking out as well. Last September, we interviewed Stephen Mills, chief of police of the Apache, OK police department, who is a vocal critic of CAF. And now, a bombshell has been dropped which will surely accelerate moves across the country to end this injustice. One of the creators of civil asset forfeiture has just called for it to be abolished. Brad Cates, former director of the U.S. Justice Department’s Asset Forfeiture Office (1985-89), wrote an opinion in the Wall Street Journal acknowledging that CAF has turned into policing for profit. “Considering the intertwined financial incentives, reform must happen at both the state and federal level. States and the federal government can look to what New Mexico had done as a template for broad-based action. Clearly, the intent of the original law has been thoroughly abused at all levels of government. The Justice Department caved to pressure in 2015 when it suspended its “equitable sharing” program which allowed local police to skirt state-level efforts of reform. That hasn’t stopped cops in most states from continuing to loot and pillage the citizenry. When the man who helped create civil asset forfeiture says it’s time to end it, this is a powerful message to cops who revel in stealing from innocent citizens under the guise of fighting crime. Addiction is a hard thing to kick, as law enforcement will soon find out. 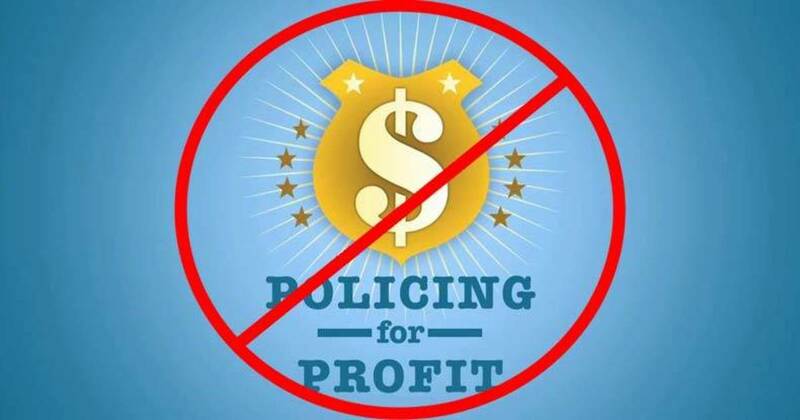 To find out how badly your state engages in CAF, check out the groundbreaking survey conducted by the Institute for Justice, titled Policing for Profit.